This application allows you to convert various different Office documents to Adobe PDF documents for improved portability. 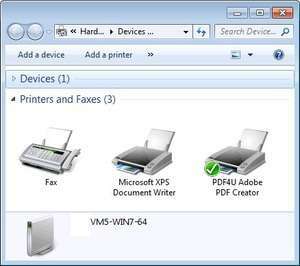 Included with this package is a virtual printer driver which can convert most types of documents to a PDF just by using the application's built-in "Print" function. It can create documents with resolutions of up to 2540x2540. Version 3.01 is a freeware program which does not have restrictions and it's free so it doesn't cost anything. For security reasons, you should also check out the PDF4Free download at LO4D.com which includes virus and malware tests. Additional screenshots of this application download may be available, too.